Here is a poem I wrote two years ago, which should make it just ripe. Shared on Poets United’s Poetry Pantry. 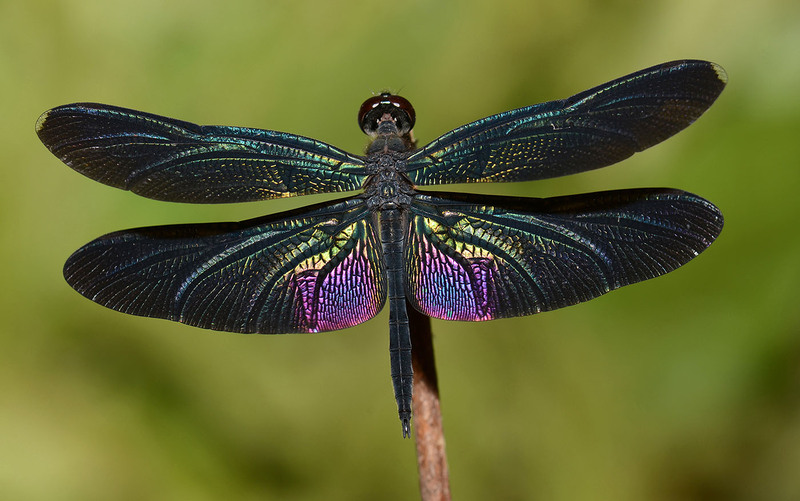 This poem was written from the keywords ‘dragonfly, jewels, emperor, moon’ which I got from the book ‘Writing Poetry from the inside out’ by Sandford Lyne. This is one of the better ‘how to write poetry’ books I have, and I have written several poems from the long lists of keywords in the back of the book. One expression that younger people may be unfamiliar with in the poem is ‘Job’s tears.’ Job’s tears is a plant with large seeds that are strung on threads to make rosaries. Job, on the other hand, is the main figure in one of the longest and most poetic books of the Old Testament. I recently bought a book on the Romantic Poets, in the Ignatius Critical Edition series. It was the only book I found in the series that dealt with poetry and not prose. The series is edited by Joseph Pearce, who is not only an ‘acclaimed literary biographer,’ but he did some lectures on Shakespeare on the television channel EWTN. One way children are taught to hate poetry in the schools is when teachers put out signals that poetry is far too horrible and difficult for children, and that children’s exposure to the awful stuff must be limited. I had an English teacher in high school that was like that. To save us from the horror of reading an actual poem, he gave us lessons where he handed out sheets with Beatles song lyrics on them, which we were supposed to treat as if they were from the pen of Emily Dickinson. The teacher thought he was being ‘cool.’ But while he, a rather young teacher, could remember Beatlemania as if it were yesterday, the children in his classroom thought of the Beatles as something that happened in the old days, like Kennedy’s assassination or Johnson lifting up his dog by the ears. I tended to look on Beatles lyrics only for their influence on Charles Manson and his followers— I was already a true crime geek. So the upshot was we weren’t to read a great poet of the past, or even some contemporary poetry, but just song lyrics. Song lyrics may have poetry in them, but the main thing is song lyrics can be sung, the songs recorded, and sold for money. Lots of money if they make it to the top of the charts. The teacher had taught us that we didn’t have to read poetry, we could just listen to popular song lyrics instead. I think though if he had handed us a sheet with Emily Dickinson’s ‘I’m nobody, who are you? Are you nobody, too,’ we might have coped with the horror of POETRY and even enjoyed it. 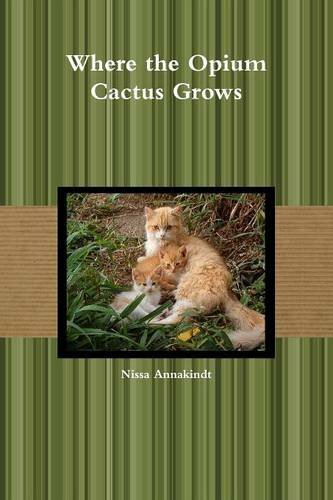 This is the cover of one of my poetry books, Where the Opium Cactus Grows. It contains most of my earlier poetic output. I used to think my poems were humorous because some of them make me laugh like a loon, but this book made my mother cry. So I don’t really know how to evaluate it. When I came out with this book I didn’t know much about how any self-published book could be promoted, much less how to do it with a poetry book. I’ve read a lot of how-to-promote-books info since then. But I’ve been shy about applying it to my poetry, because, well, it’s poetry. And as I put the books together myself, I can see all the things I should have done better. One of the problems is that I need to gain some fans for my blog and social media accounts who like poetry. On Twitter I have been following accounts that tweet haikus and other short poetry. I also have changed the title of my account there to “Nissa Annakindt, poet, Aspie and cat person.” Which is also the title of my Facebook author page. One thing I have learned that the self-published authors who gain readers don’t publish just one book and wait for it to sell. You have to keep producing. To that end I am determined to come out with my next poetry book, Waiting for the Poison Shot, sometime this year. To make my life really impossible, I also seem to be committed to a book of found poetry created from the speeches of annoying Left-wing people. I think this will be an anthology with other conservative poets involved. The main think I believe is that we shouldn’t be ashamed of the fact that our poetry books are— poetry. Yeah, some people don’t like poetry. There are also some people that hate romance novels, but that doesn’t stop romance writers from promoting their books. Be brave and find your ‘tribe’— a group of people who actually appreciates your work. This is another post in Poets United’s Poetry Pantry. Go to their site to read more. where they will be rewarded. This is an example of found poetry inspired by a poetry book I have just purchased, ‘Mornings Like This’ by Annie Dillard. My main source was an old cookbook of mine, ‘The Settlement Cook Book’ by Mrs Simon Kander, 1947 edition. The last line in each stanza was from a hymn, Farewell I Gladly Give Thee, (Valet will ich dir geben) written by Valerius Herberger, 1613, translated by Catherine Winkworth, 1863. I believe every poet would do well to buy books by other poets— or poetry magazines or anthologies— on a regular basis. We learn more from each poem we write. I bought the Annie Dillard book ‘Mornings Like This’ because it is found poetry, and because I am working on a major poetic project based on found poetry. I didn’t expect much and was quite pleased I was more inspired by it than I ever thought possible. I am planning a future blog post with a title ‘How to teach students to hate poetry.’ My contention is that school poetry lessons in most schools do a lot to make students hate poetry, rather than like it or read it. 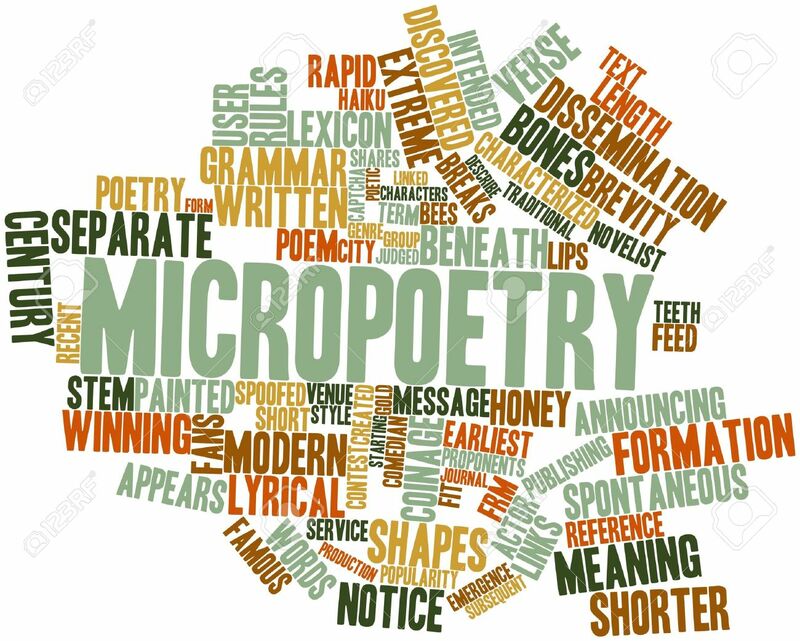 Since I suspect today’s blog post may be visited by a number of poets and poetry lovers, I would welcome your opinions on the teaching of poetry. 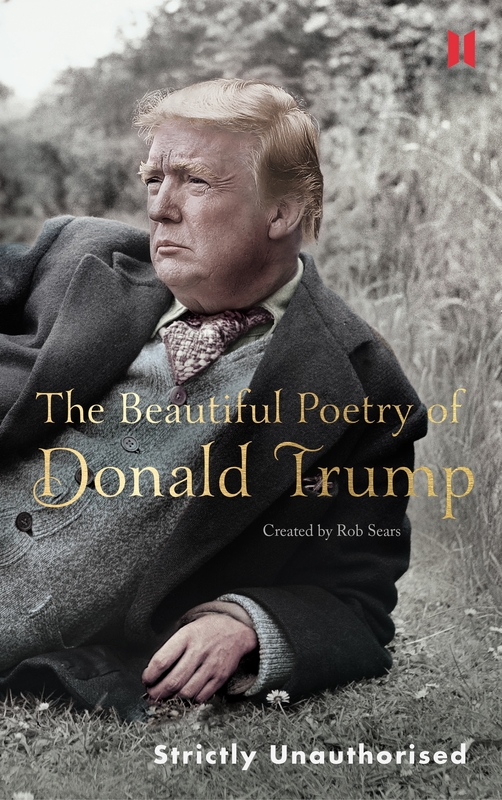 Recently I bought a book which was titled ‘The Beautiful Poetry of Donald Trump’ which was, according to the book cover, ‘created by Rob Sears.’ According to the inside flap, Rob Sears lives in Great Britain and has written fiction and comedy. Not poetry, evidently. Creating poems from other people’s words is called found poetry. I haven’t done much pure found poetry, but I have mixed in a lot of found words and phrases from various sources into my poems. Political found poetry seems to be a form of political mockery mostly. There was a ‘poet’ who created found poetry from the words of Donald Rumsfeld. He won a court case which found his work was his own creation and not just ripping off Donald Rumsfeld’s words. One good thing Rob Sears did was document the source of every line from the utterances of Donald Trump. Sadly, most of these sources were tweets. Usually very well publicised tweets. One alleged haiku had 4 different sources. Four sources for a three lined poem? Sears adds TITLES to his ‘haiku’, and they also have their own sources. His sources for lines in each individual found poem can be decades apart and on differing topics. This bothers me. He is basically asserting that Trump said certain things about one topic while he actually said them about another. If you are going that route, you might as well take words from various subjects one at a time and you can make your subject say any stupid thing you like. But then it isn’t truly a found poem. It’s a concocted poem which falsely represents your subject-person. Ethical rule: no matter how much a found poet may dislike his subject, the poet must not intentionally misrepresent that subject’s real stated viewpoints and ideas. You cannot turn Donald Trump into a hard-core anti-semite, for example, because of all the Jewish relatives he has. You cannot turn Elizabeth Warren into someone who hates American Indians, because she claims to be one. Another ethical rule: Write found political poems about the leaders of your own country, if you please. It’s kind of dirty pool if you write about a foreign leader when you don’t fully understand both sides of the political equation in that country. It’s also just cruel to the citizens of your target nation. Making fun of their politics is another way to make fun of THEM. Mocking people for coming from a different nation than yours is a form of prejudice. You have the freedom of speech to utter prejudiced thoughts— but I have the freedom not to read them. I am writing some political found poems myself lately— most of them derived from the speeches of Nancy Pelosi. I disagree with Miss Pelosi on many issues, and I’m appalled she considers herself Catholic. But I don’t feel that I can, as a Christian, hate her or any of her supporters. When I write a poem based on her speeches I take 1 speech, and I don’t introduce any opinions of my own intentionally. I’m trying to write about what she really says, not what I think she should have said. You can look up the full text of the speech on Pelosi’s official web page. I used to share a poem on this blog on Sundays, but haven’t done it for ages. Today that will change. Since I’ve been sorting through my old poems in the process of assembling my third poetry book, I’ve been more conscious of my lack of poetry postings. I know poetry seems to offend so many people— I lost a Twitter follower over it. At least, one that I know about who actually told me to quit Tweeting poetry as if I’m going to shape my Twitter life to fit him, ONE follower. I have been writing quite a bit of minimalist poetry in recent years. Haiku, of course. And Collom lunes. There are two kinds of lunes, both more suitable for school children’s poem writing projects than the haiku, which has a long history and a lot of rules— a haiku is not just counting syllables. This seems like a lot of introduction for a tiny little poem, doesn’t it? Anyway, here it is. Duck! 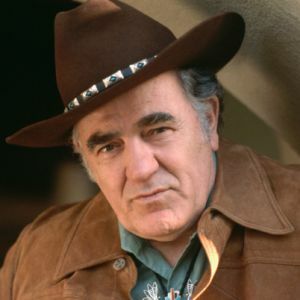 Louis L’Amour was born in 1908 and died in 1988. The heyday of his writing career was in the 1950s and 1960s. But— a few weeks ago I went into WalMart in the book section to find a Louis L’Amour book still available. What is the secret of Louis L’Amour’s fiction-writing power? Why is he, a writer known for writing Westerns, not the most popular genre today, still on the WalMart buyer’s mind as someone to keep in stock? It may be in the nature of the very first book Louis L’Amour published. A book of his poetry called Smoke from this Altar. You see, here is the difference between writing a novel and writing poetry. In a novel there are thousands of words, and a writer who worries overmuch about whether word 27322 is exactly the most powerful and best word for that position doesn’t finish many novels. Words and sentences in a novel can be bland or dull, so long as the action in the novel keeps coming and you find ways to make readers identify with the characters. In a poem, every word counts. A novel can have unnecessary words, sentences and even paragraphs so long as they don’t interfere with the flow of the story. A poem must not have a single word that does not serve the poetic purpose. The words in a poem must be powerful and evocative. Even the sounds and rhythms of words must be considered in a poem. 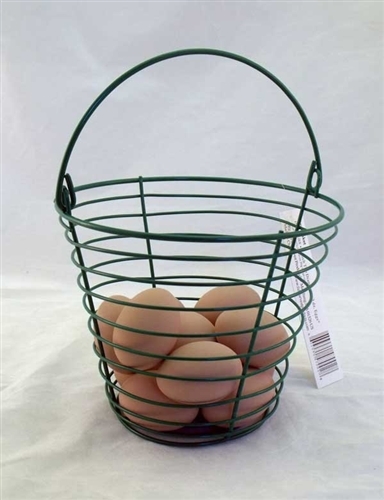 “The trouble was, when I walked out on that point my mind went a-rambling like wild geese down a western sky. What I looked upon was a sight of lovely country. Right at my feet was the river, a-churning and a-thrashing at least six hundred feet below me, with here and there a deep blue pool. Across the river, and clean to the horizon to the north and east of me, was the finest stand of pine timber this side of the Smokies. Lest you think the above example was too descriptive, rest assured that someone gets shot by the end of the page. It still is an action-packed western. It’s just that L’Amour knew how to use language very well, as a result of his work as a poet. So he could through in a good bit of description that could bring the West to life. If you are curious about the poems of L’Mour, his book ‘Smoke on the Water’ is available and so you can see for yourself. But until you get so far, here is an example poem that tells a Western story. they come to sit with me. and an ugly lump for a chin. and he was the third of that gruesome clan. and his head cut of half-way. and dined on human meat. and the gruesome thing that i ate. till death shall set me free. Poetry is dead? No, not really. Not on Twitter, anyway. There is a brave gang of us brave fools who share our shortest poems there— #micropoetry. There are a lot of #haiku. Some of them are actual haiku and others are more #senryu or other short poems. Micropoetry is a great fit for our age when we have no attention spans and are trained by the FakeNews media to think in slogans and soundbites. Just as the longer poems were a fit for the Victorian age when local newspapers printed poems regularly and people read them. Asian short poetic forms are a good fit for Twitter poetry and micropoetry. The sijo poem is too long to fit into a Tweet, but some have shared them in graphic form as Twitter poetry. Haiku is a natural. I often do Collom lunes, a poetic form of 3-5-3 words. I checked the hashtag #CollomLune and found others besides myself had used it, especially an antisemitic pro-palestinian fellow who is very persistent in his use of the hashtag. I have been neglecting my poetic life for a few months and work up determined to do something about that. I looked up Collom lune online again so I could read a few and be inspired. 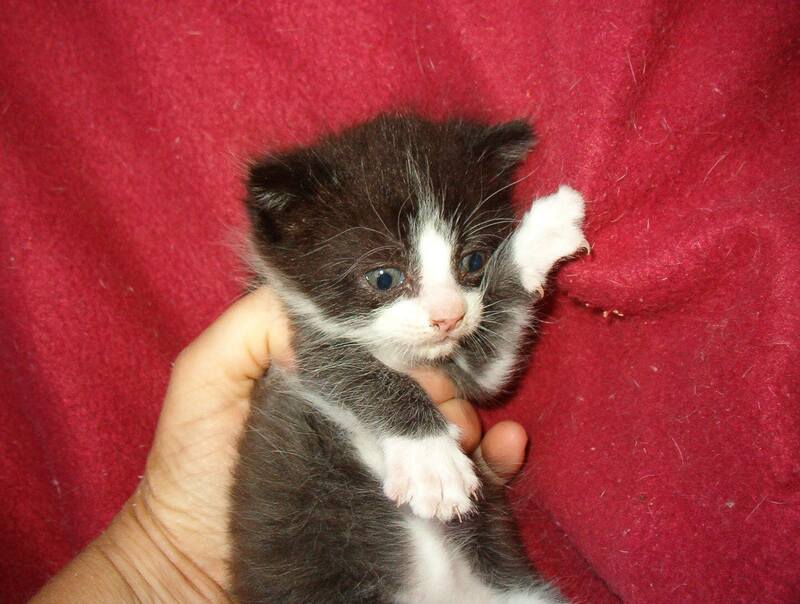 Then I walked into the kitchen and saw a mother cat with a baby. Not actually HER baby, but a baby. And memorialized it in a Collom lune. Of course, Tweeting my poem, submitting it on Micropoetry.com, and posting it in this blog post mean that I can’t submit the poem to most poetry markets. But since poetry markets don’t pay, and most are aggressively unfriendly to conservative voices, I’m not worried about that. I can always include them in my next poetry book. Which I ought to start writing one of these days now.